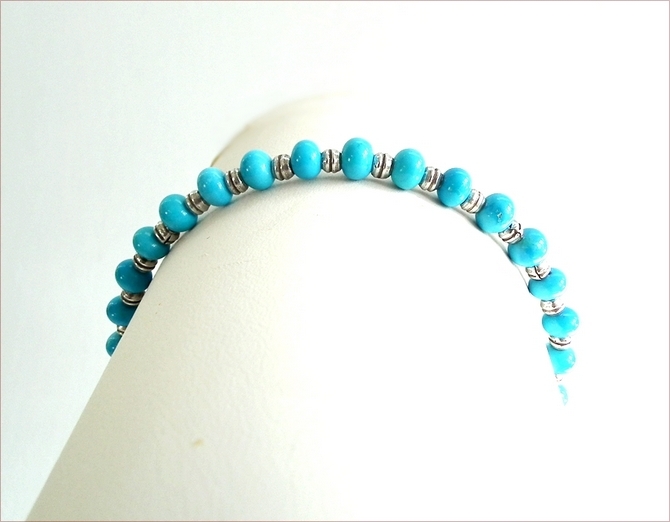 The turquoises used in this bracelet are the most beautiful blue. They came from a gemstone dealer in the gem capital of the world, Jaipur, and are Burmese. I've teamed them with oxidised Karen Hill Tribe silver spacers. 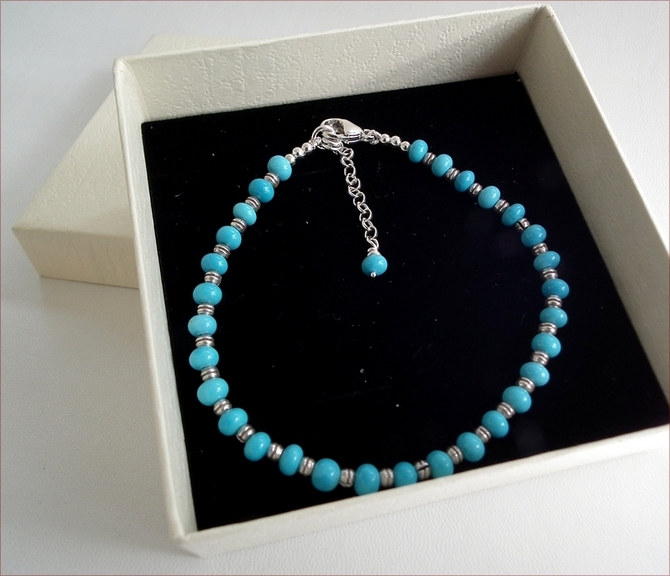 Karen Hill Tribe silver has a higher pure silver content than sterling, which makes it softer and it works perfectly with the turquoise. 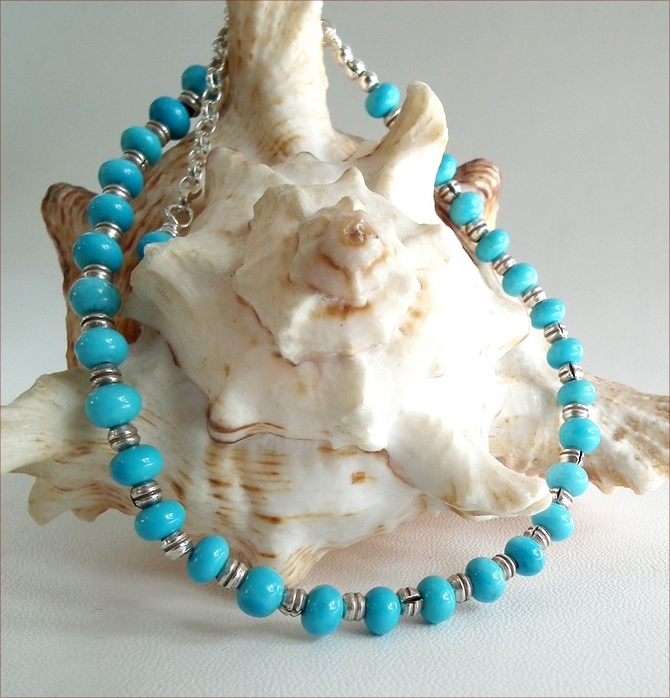 The bracelet is is 7.75" (400mm) long and has a 1" extender chain (in sterling silver) with a sweet little turquoise charm attached to finish the bracelet off. 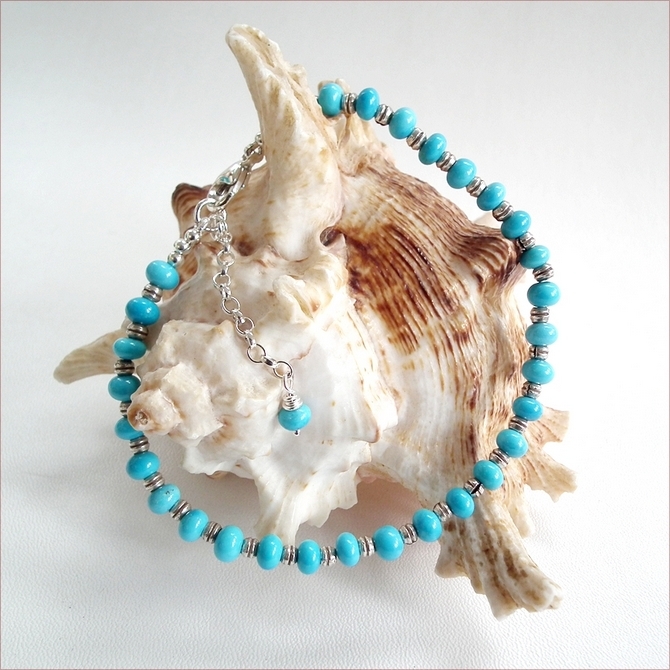 The clasp is a sterling silver lobster clasp. My tip for doing up bracelets when there is no-one around to help - thread a piece of cord through a link in the chain, grip it in your hand to hold that end of the bracelet steady while you open the clasp and hook it onto the ring. 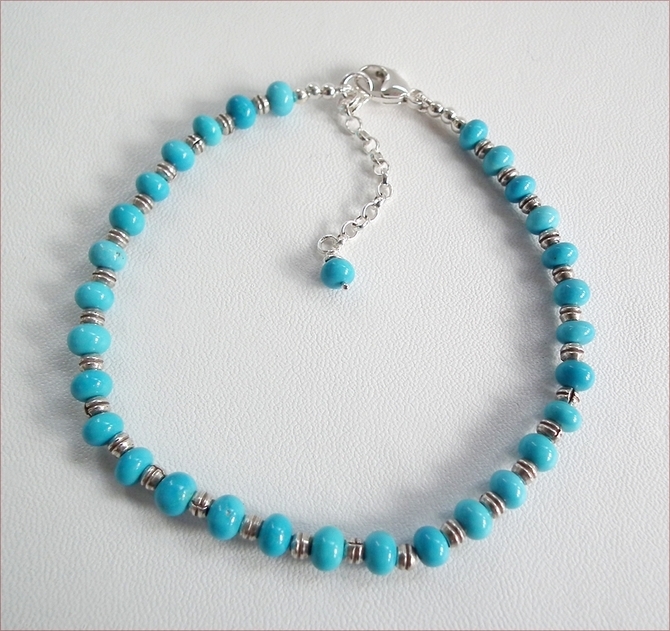 Turquoise is the birthstone for people born in December - making this the perfect birthday/Christmas present!